Mai & I have been having so much fun working our way through the alphabet with our A-Z animal footprint crafts. She has lovingly coined them “stinky foot crafts”. 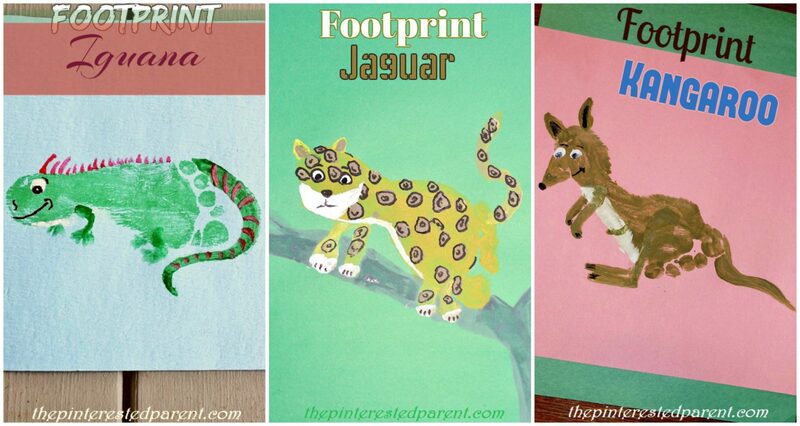 Our latest batch of stinky foot crafts are from I-K.
As with all of our footprint crafts, it all begins with a footprint. 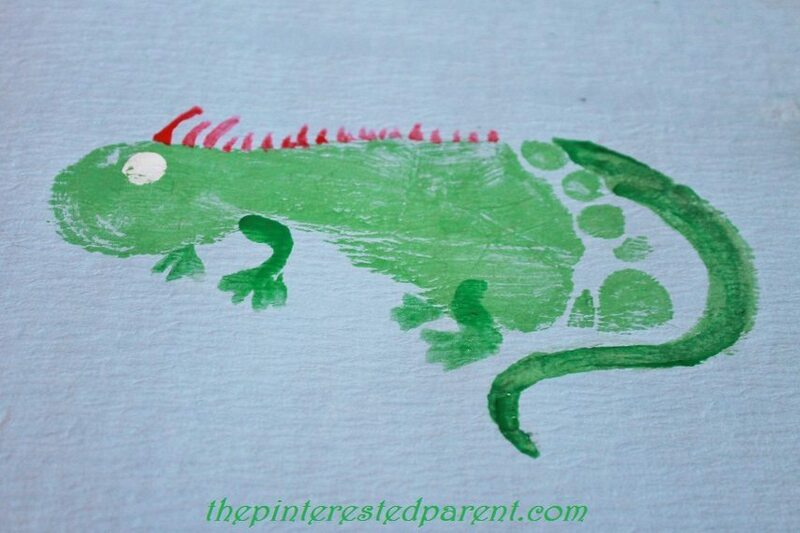 Paint your child’s foot & press it on to a piece of paper. 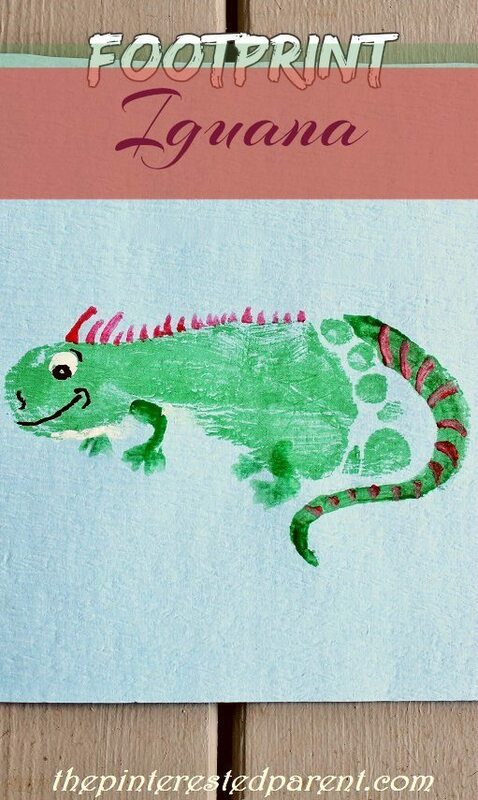 Dab on a white spot for the eye & paint in the iguana’s spikes. Paint in the tail & feet. Finish it off by adding in the face & painting stripes on the tail. Paint your child’s foot in yellow & press onto a piece of paper on a slant. Paint in the ears, legs & tail. Dab on two white circles for the eyes. Dab more white onto the bottom of the legs for feet. 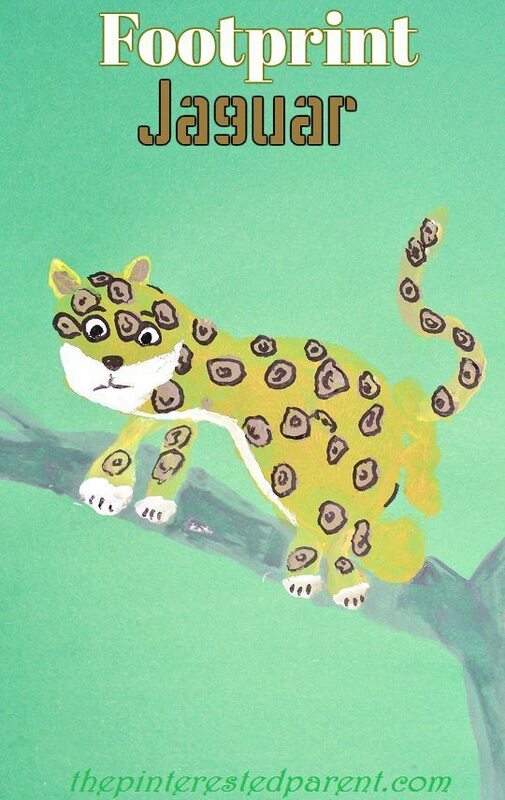 Paint in the jaw & outline the underside of the jaguar with white. Dab on light brown spots & let them dry. Outline the spots in black marker & mark the inside to form the rosettes. Finish the face to complete. 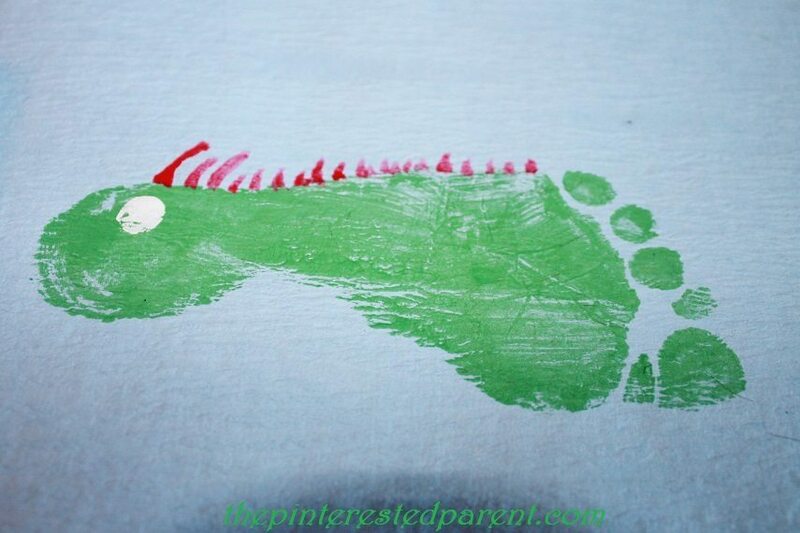 Paint your child’s foot in brown & press onto a piece of paper on a slant. Paint in the ears, tail, arms & legs. Add two dabs of white for the eyes & paint the underside of the foot in white. Let dry & draw in the facial details with a marker & color in the middle of the ears. 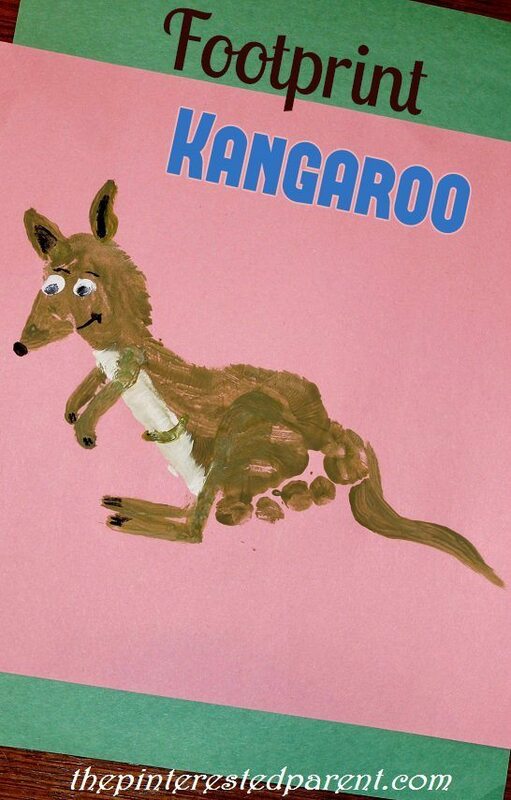 Paint in a line to form the kangaroo’s pouch. Thank you, Janine. I love making these with her. They are so much fun. This is so adorable, I’m sure kids would love it!